LAKEWOOD RANCH, Fla. (Dec. 6, 2016) - On November 28, 2016, a tragic plane accident shook up the world and more visibly, devastated the global soccer community. Seventy-one lives were lost in total, including 19 players, coaches, club staff, journalists and supporters of the Chapecoense Soccer Club of the Brazilian Série A. A chartered flight on its way to play the first leg of the Copa Sudamericana final against Atlético Nacional in Medellin, Colombia was forced to make an emergency crash landing in the Colombian mountains near the approach path to José María Córdova International Airport's runway. Across the world's soccer landscape, players, coaches, clubs, and leagues paid tribute in different ways. All CONMEBOL-related activities were suspended and many Brazilian teams wore the Chapecoense jersey as a symbol of solidarity in their immediate games after the tragedy. Chapecoense's opponents-to-be in the Copa Sudamericana final, Atlético Nacional, made a formal request to CONMEBOL to award Chapecoense with the Copa Sudamericana title. Outside of Brazil, FIFA asked for a moment of silence before every match as well as to have players wear black armbands to honor the victims. This sign of respect was seen across the globe, including this past week's 2016 Development Academy Winter Showcase and Nike International Friendlies at Premier Sports Campus in Lakewood Ranch, Fla. 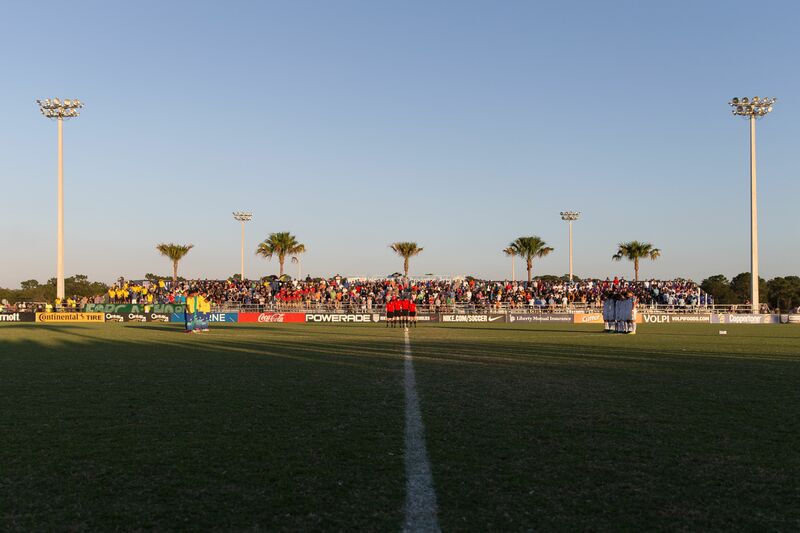 Prior to each match, the 11 starters from the USA, Brazil, Portugal and Turkey's U-17 National Team and 146 teams representing 74 clubs in the U.S. Soccer Development Academy clubs met in the center circle of their respective fields with referee crews serving as the link between the teams. A whistle started and ended with 60 seconds of silence in memory, while all players wore black tape on their left arms. Signs of respect throughout both of the U.S. Soccer Events shown to the victims of the tragedy below.